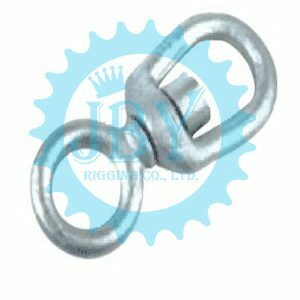 Qingdao Jin Bao Yu Rigging Co., Ltd is located in the largest rigging hardwares production base-Shandong, China. 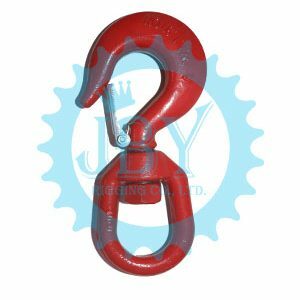 For more than 15 years,China JBY supply shackles, turnbuckles, thimble, hooks and other lifting and rigging equipment parts. 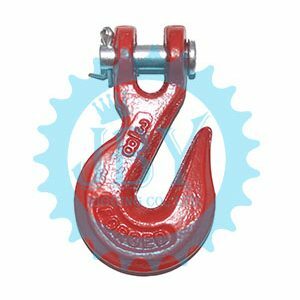 Our lifting & rigging factory covers an area of 18,000 square meters and has the most advanced testing equipment and quality control system. 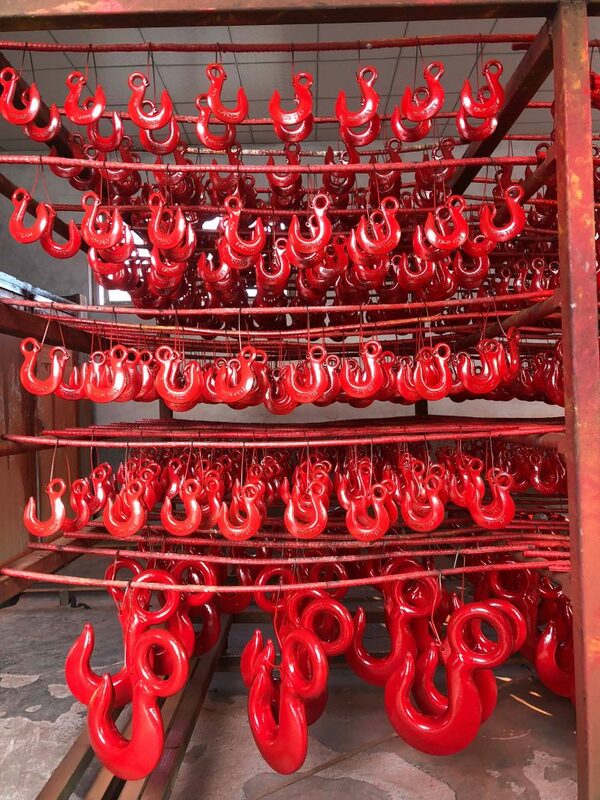 The subordinate factory has 300 employees and 2 production lines, which can meet the demand of batch orders and ensure the fast delivery time. 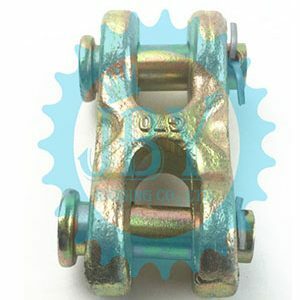 Relying on wide variety, good quality, novel designs, reasonable prices, fast delivery time and good service, bulk products have been purchased and extensively used in North America, Europe, Australia, Southeast Asia, South Asia, Central Asia, South America, Africa and other regions, and have been highly praised by customers around the world. 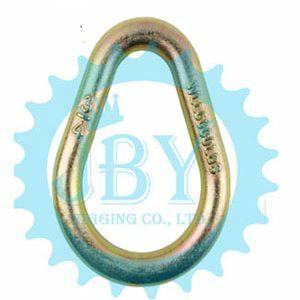 JBY is one of the largest rigging manufacturers and suppliers in China.China JBY Supply G-401 Chain Swivels is a high quality and low price products.G-401 Chain Swivel, made by forged hot dipped galvanized steel, making them ideal for various marine and industrial rigging applications. 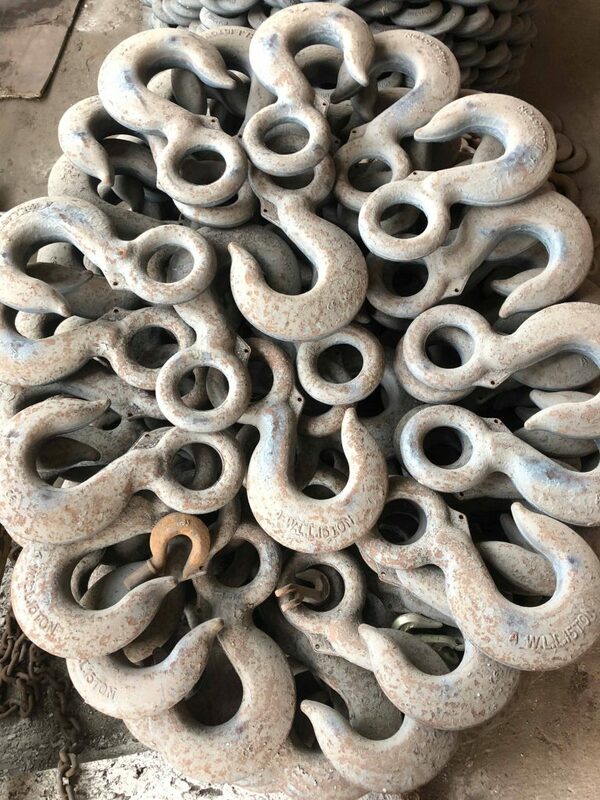 Forged steel, Quenched and Tempered. 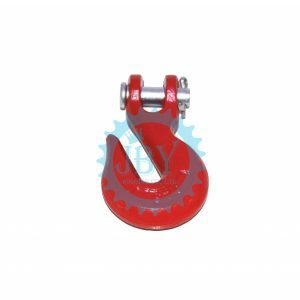 For load positioning only, not designed to rotate under load. 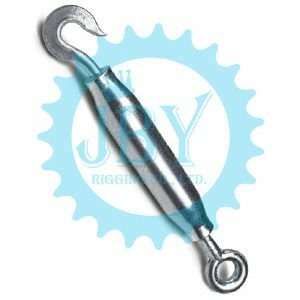 Meets the performance requirements of Federal Specification RR-C-271F, Type VII, Class 1. 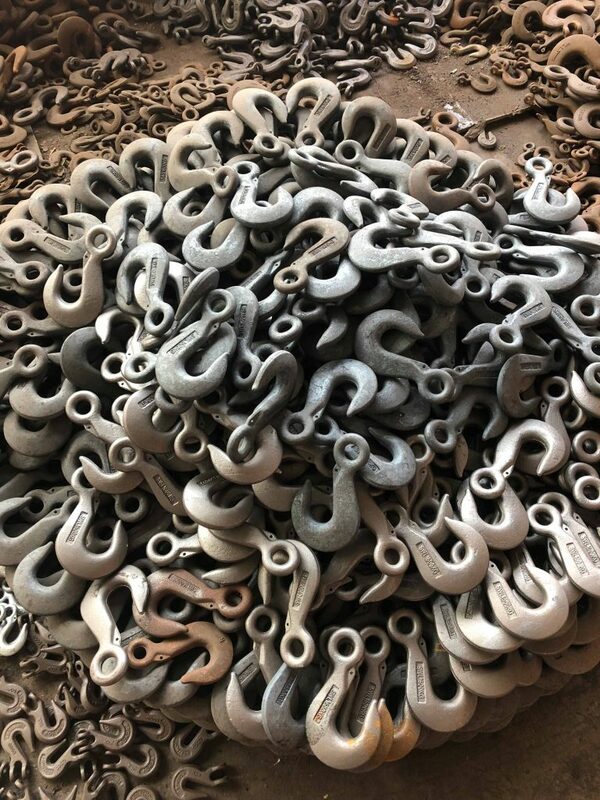 Forged Steel – Quenched and Tempered. Forged Steel — Quenched and Tempered. Meets or exceeds all requirements of ASME A153, including identification, ductility, design factor, proof load and temperature requirements. 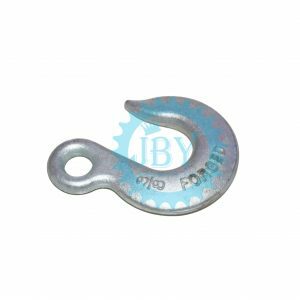 Importantly, these bolts meet other critical performance requirements, including fatigue life, impact properties and material traceability. 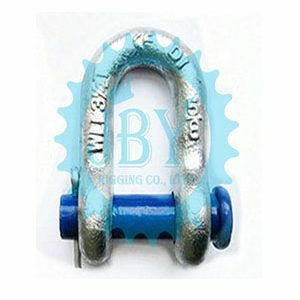 JBY is one of the largest rigging manufacturers and suppliers in China.China JBY Supply Twin Clevis Link is a high quality and low price products.Twin Clevis Link, designed for linking all popular sizes of chain to rings, end links, eye hooks, pad eyes, tractor eye bolts, etc. Easy-to-install connector for short- or long-term use. JBY is one of the largest rigging manufacturers and suppliers in China. 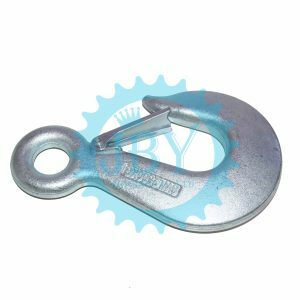 China JBY Supply Grade 43 /70 Chain With Clevis/Eye Grab Hooks is a high quality and low price products.Grade 43 /70 Chain With Clevis/Eye Grab Hooks is made with high quality chain and hooks. 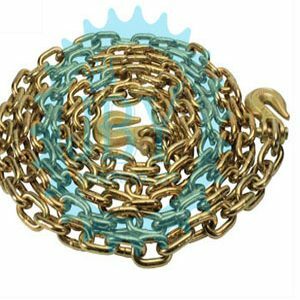 Grade 43/ 70 chains are designed with clevis grab hooks for quick and easy use.You might also like: Grade 70 Transport Chain; Grade 43 High Test Chain. 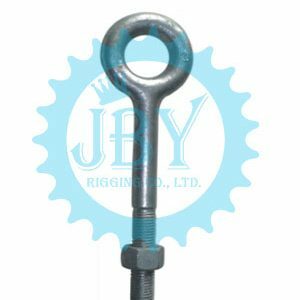 JBY is one of the largest rigging manufacturers and suppliers in China. 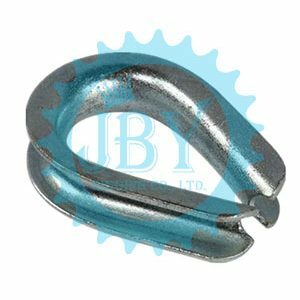 China JBY Supply Din 1478 Closed Body Turnbuckle Hook & Eye is a high quality and low price products. 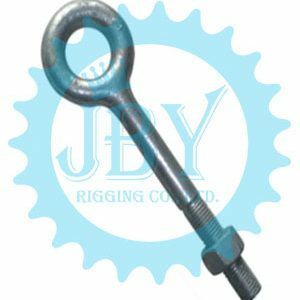 Din 1478 Hook & Eye Closed Body Turnbuckle(Din 1478 Rigging Screw)consist of a metal frame with right hand thread one end and left hand thread the other end. 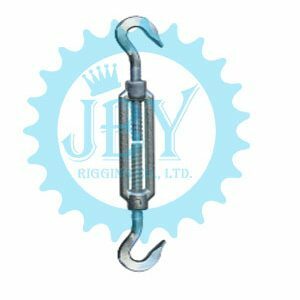 Used for tensioning by rotating turnbuckle body without twisting attached rope .You might also like:Din 1478 Hook & Hook Closed Body Turnbuckles; Din 1478 Hook & Eye Turnbuckles. 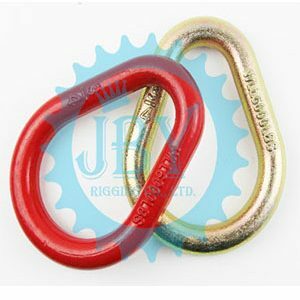 JBY is one of the largest rigging manufacturers and suppliers in China. 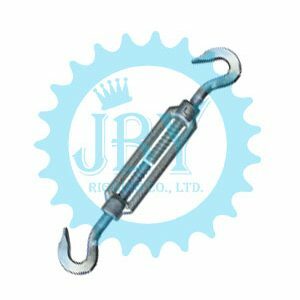 China JBY Supply Din 1480 Hook & Hook Turnbuckle is a high quality and low price products. 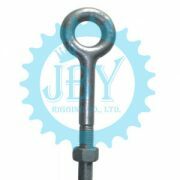 Din 1480 turnbuckles are made by high quality carbon steel with advanced international production process. And all the samples chosen from the finished products have past the international standard. 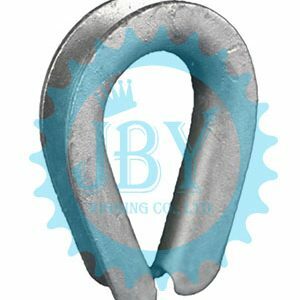 Because of the characteristics of it, it can be widely used in construction site, large factory, shipping and bridge construction and so on. 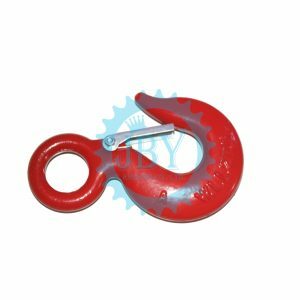 And special specification and marks can be made according to customer`s requirement.You might also like: Din 1478 Hook & Hook Closed Body Turnbuckles; Din 1480 Turnbuckle Hook & Eye . 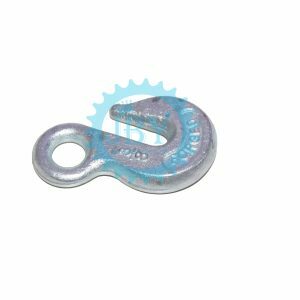 Meet performance requirements of US Fed.Spec.RR-C271D Type IVA Grade A,Class 1. 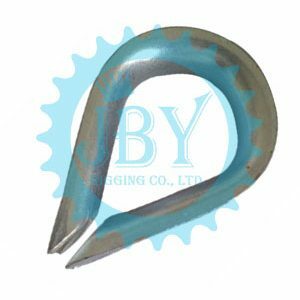 Forged-Quenched and Tempered with Alloy Pin. 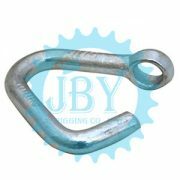 Zinc Plated, Hot Dipped Galvanized and Powder Coating. 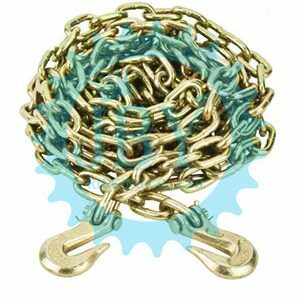 Minimum Ultimate Strength:4 or 6 Times The Working Load Limit. 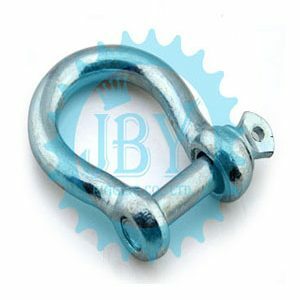 JBY is one of the largest rigging manufacturers and suppliers in China.China JBY Supply Galvanized Commercial Bow Shackle with Screwed Pin is a high quality and low price products.Galvanized Commercial Bow Shackle with Screwed Pin (also called European large bow shackle) are easily identified by the pin and body material being manufactured from the same diameter. 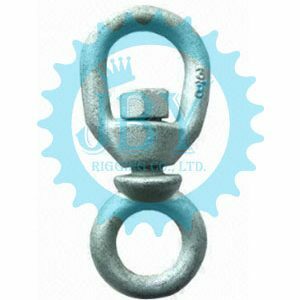 The shackles are manufactured using superior grade raw material as per international qualitative standards. 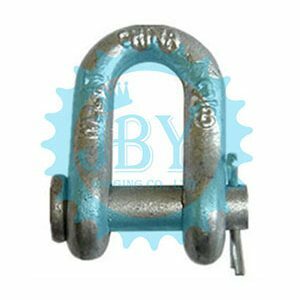 Our range of commercial pattern shackles is available in standard as well as customized sharps and sizes.You might also like: Galvanized Screw Pin Anchor Shackle G-209;Galvanized Screw Pin Chain Shackle G-210. 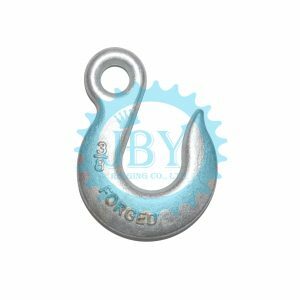 Galvanized, Zinc Plated or Self Colored. 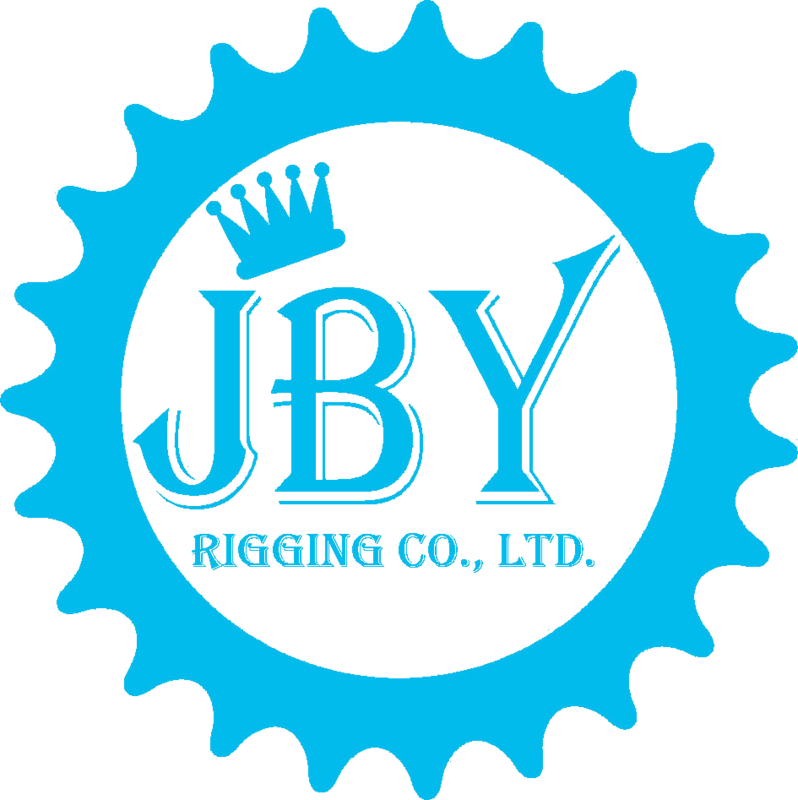 JBY is one of the largest rigging manufacturers and suppliers in China. 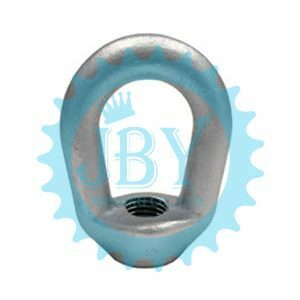 China JBY Supply G-414 Extra Heavy Wire Rope Thimbles is a high quality and low price products.G-414 Extra Heavy Wire Rope Thimbles (also Called Heavy Duty Thimble )are hot dipped galvanized to resist corrosion and wear. 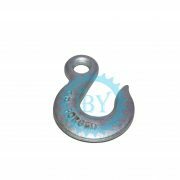 Galvanizing the metal thimble with this method involves dipping the fabricated steel into a vat or kettle of molten zinc. 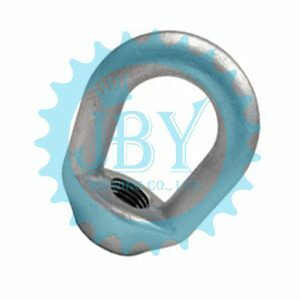 You might also like: Light Duty Wire Rope Thimbles G-411; Galvanized Wire Rope Thimble Din 6899A. Forged Carbon Steel, Quenched & Tempered. Designed With a 4 to 1 Safety Factor. 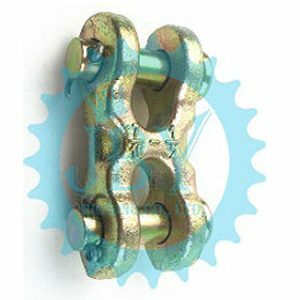 Zinc Plated or Powder Coating. 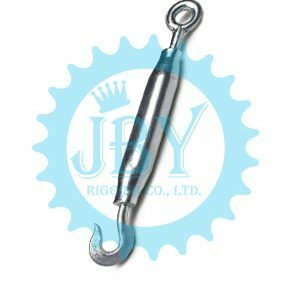 China JBY Supply Eye Grab Hook Include eye grab hook grade 43 and eye grab hook grade 70,are designed for attaching to the end of wire rope slings. 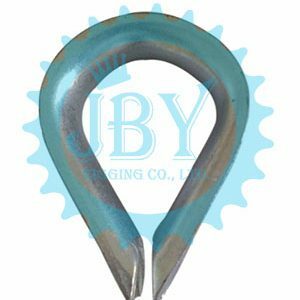 China JBY Supply eye grab hook(High Test Eye Grab Hook) are carefully forged, quenched, and tempered for maximum strength with out the excessive bulk.This Grade 70 Eye Grab Hook is very common on transport chain ends, and is made specifically for grade 70 transport chain. 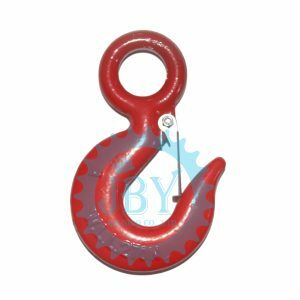 This high quality Alloy steel Eye Grab Hooks can survive even the toughest conditions. 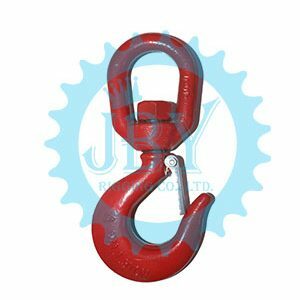 JBY is one of the largest rigging manufacturers and suppliers in China.China JBY Supply Clevis Slip Hook Include clevis slip hook grade 43 and clevis slip hook grade 70 ,are designed for attaching to the end of wire rope slings.This grade 70 clevis slip hook, is durable and features a wider throat than the clevis grab hooks. 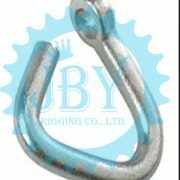 Forged, heat treated-quenched and tempered, this high quality slip hook can survive even the toughest conditions. 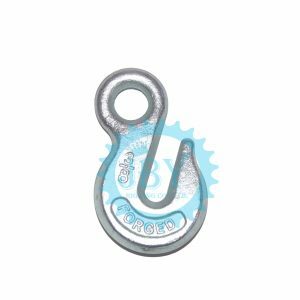 Made to Grade 70 standards, simple and easy to use just unlock the pin and attach to your chain link You might also like: Clevis Slip Hook Grade 43; Lifting Eye Hooks With Latch Din 689. 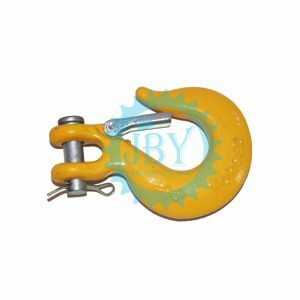 China JBY Supply Clevis Slip Hook With Latch Include clevis slip hook with latch grade 70 and clevis slip hook with latch grade 43 ,made by Forged Carbon Steel or Alloy Steel, quenched & tempered, complete with a safety latch.China JBY Clevis Slip Hook With Latch Grade70 widely used with Chain and Wire Rope through some connecting links,such as Hammer Lock Links, Repair Links, Clevis Links, Rope Thimbles. 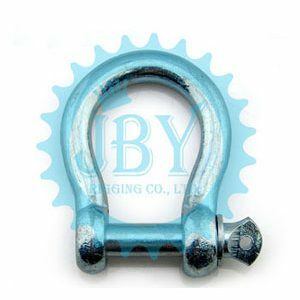 JBY is one of the largest rigging manufacturers and suppliers in China.China JBY Supply Clevis Grab Hook Include Clevis Grab Hook Grade 70 and Clevis Grab Hook Grade 43 .China JBY Clevis Grab Hook Grade 70 are carefully forged, quenched, and tempered for maximum strength with out the excessive bulk.This Clevis Grab Hooks Grade 70 is very common on transport chain ends, and is made specifically for grade 70 transport chain. 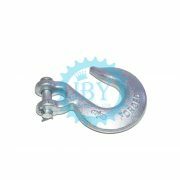 This high quality Alloy Clevis Grab Hooks can survive even the toughest conditions. 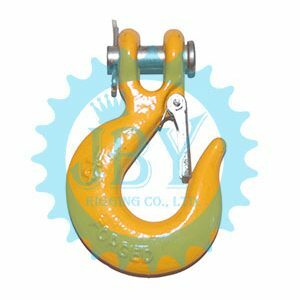 ( Clevis Grab Hook Grade 43 are also Available).You might also like: Forged Alloy Eye Bend Hook; Clevis Slip Hooks Grade 70. 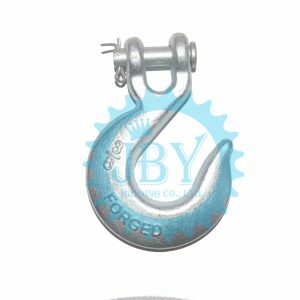 JBY is one of the largest rigging manufacturers and suppliers in China.China JBY Supply Swivel Hook With Latch Include alloy swivel hook and carbon swivel hook.China JBY Alloy Swivel Hook with Latch are carefully forged, quenched, and tempered for maximum strength with out the excessive bulk.Alloy Forged Swivel Hook is designed for heavy-duty use as a load positioning hook, but is not intended to swivel under load ( For swivel hook designed to rotate under load) This hook is rated for lifting, but is not intended for use with Grade 80 chain slings.You might also like:Clevis Slip Hook With Latch Grade 43;Eye Grab Hook Grade 70. 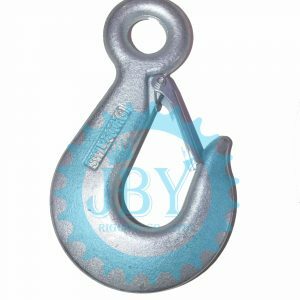 JBY is one of the largest rigging manufacturers and suppliers in China.China JBY Supply Eye Hoist Hooks With Latch Include alloy eye hoist hook and carbon eye hoist hook ,are designed for attaching to the end of wire rope slings, complete with a safety latch.China JBY Alloy Eye Hoist Hooks With Latch are carefully forged, quenched, and tempered for maximum strength with out the excessive bulk, to lift objects quickly by crane and land them securely without the use of shackles.You might also like:Forged Alloy Eye Bend Hook;Clevis Slip Hook With Latch Grade 43.